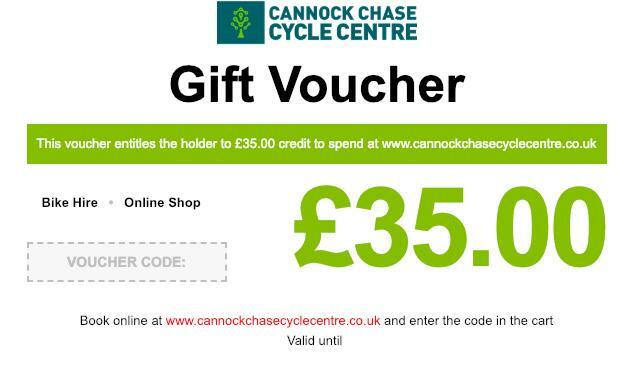 The lucky recipient of a Cannock Chase Cycle Centre gift voucher can spend their voucher credit online to book bike hire/equipment and any products in our e-Shop. To buy a gift voucher simply enter the desired credit amount and quantity below. Vouchers are valid for 12 months from date of purchase. Your voucher will be e-mailed to you and you can either print and hand it to the lucky recipient as a gift or forward the e-voucher on to them.